Today in Masonic History Ira Allen passes away in 1814. Ira Allen was an American soldier, statesman and one of the founders of Vermont. Allen was born in Cornwall, Connecticut, the youngest of six. In 1771, Allen and his brother Ethan formed the Onion River Land Company. Their purpose was to purchase land under the New Hampshire land grants. Allen purchased several tracts of land with money he had received from his father's estate. 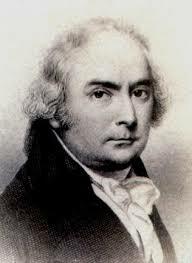 In 1776 and 1777, Allen was a member of the Vermont legislature. He was one of the leading figures in declaring Vermont a Republic. It was around this time that Allen, his brother Ethan and Thomas Chittenden were implicated in treason. The three men were accused of trying to hand over Vermont to the British. In the context of the time, this was more of a political maneuver rather than an attempt at undermining the ongoing war for independence. At the time the Continental Congress refused to recognize Vermont as an independent state and placed it as either part of New Hampshire or part of New York. In 1780, Allen donated money and lands for the establishment of the University of Vermont. He donated 20 acres of land in the city of Burlington and money for the University. He also designed the seal of the University of Vermont. Allen was Vermont's first Treasurer serving from 1778 to 1786. During the same time he was also Vermont's first surveyor. Allen owned a variety of lands in Vermont. The one most closely tied to him is Irasburg, which bears his name. The Allen family and that of his wife, Jerusha Enos, were the original proprietors of the town. In 1791, Vermont was recognized as the 14th state. In 1795, Allen headed to France. Outwardly the reason given for the trip was to acquire weapons for the Vermont Militia, the Green Mountain Boys. Secretly Allen was trying to get the French government to intervene in Canada and seize it. Allen wanted to see an independent republic created in Canada called, United Columbia. Although Allen was able to get weapons, he was captured by the British on his return. He was tried for furnishing arms to Irish rebels, eventually the charges were dropped. The seizure of the weapons began an 8 year legal battle in England. Allen went to France to secure further evidence for his case and was arrested as a spy. The whole incident is referred to as the Olive Branch Affair, Olive Branch being the name of the vessel that was seized by the British. In 1801, Allen was finally able to return to Vermont. After his long absence he discovered that his property had been seized for failure to pay his taxes. He was now penniless and in danger of being sent to debtors prison. He moved to Philadelphia where he passed away on January 7th, 1814. Allen was a member of Vermont Lodge No. 1 in Charleston, New Hampshire.